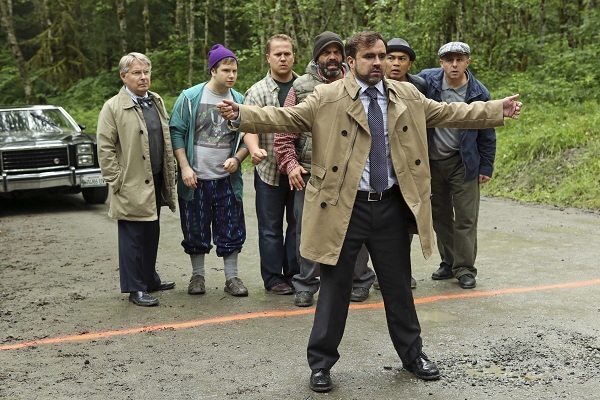 This episode’s focuses is more on the Storybrooke side than the past or Enchanted forest plotlines. Basically in the episode we learn that the Storybrooke characters can’t leave the town now because if they do they will again lose all their memories of being a Fairy Tale character and revert to their Storybrooke persona, poor Sneezy. If only there was a magical curse all, like a kiss. Guess no one loves Sneezy enough. In the end Charming tells everyone, minus Sneezy, to embrace both personas. Yay, split personality disorder for everyone. It’s a fine yet odd sentiment but works in their case. The Fairy Tale past centers around Regina disposing of her mother with the help of Rumpelstiltskin. Rumpelstiltskin is the one who gave Regina’s mother, Cora the book of spell, which Mr.Gold/Rumpelstiltskin gave to Regina in Storybrooke. Anyway Regina pushes her mother through a mirror to is a portal to another world in exchange for a favor. And in the adventure of the current Enchanted Forest Mulan and Aurora imprisons Mary-Margaret and Emma and that is where they met Cora. I guess it wasn’t another world just a different place in the Enchanted Forest. Now really sure why that should have stop from going back to Regina’s castle but maybe that will get answered later, maybe it won’t. Can’t say this was my favorite episode. I didn’t hate it but in truth I watched it awhile ago and for the life of me I couldn’t really remember this episode that well. I remembered the Sneezy losing his memories but not much else.